It seems like the kids just got back to school after summer vacation – and somehow it is already time to start thinking about those Christmas lights! If you procrastinated last year and did it too late (or not at all), you might be thinking about getting a head start this year. Who has time to think about things like hanging Christmas lights this year? Whether your whole family is coming for your annual Elk Grove Village turkey day or you’re just doing something small with your immediate family, it is still good to get those lights up early. You only have four weeks of shopping between Black Friday and Christmas; why delay any longer than you have to with the lights? Doing them early means one less thing to do after Thanksgiving. After all of the shopping, errands, holiday parties and kid’s Christmas pageants filling your spare time, you don’t want to worry about having the only house on the block with no Christmas lights up outside! The stress of having to fit in outdoor light set-up around all of the other obligations in December just isn’t worth the headache! Doing it early helps avoid that stress. Elk Grove Village, as you know, is a lovely place to be. But the weather around Thanksgiving time can always be iffy and waiting until Thanksgiving weekend or later may mean chilly temps for hanging those lights. Don’t delay your Christmas light task until you need mittens and a hat as accessories! Get it done with the warm sun and make all your neighbors envious. A last and most important consideration. You should always take the time to follow good ladder safety procedures and have a ladder buddy there to help when you are climbing up off the ground. You may have done it a thousand times without incident, but this Christmas is not the year to get lain up because you tried to be Superman and do it all by yourself! If you are looking for a great roofing contractor in Elk Grove Village, whether for advice on how not to damage your roof line when installing Christmas lights or when you need a roof inspection or repair, contact Straight Line Roofing! 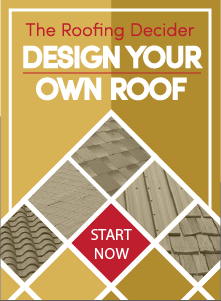 We are a certified, professional roofing contractor company who puts their customers first.